Rheged appears to have been a comparatively large kingdom which covered the whole of modern north-west England, roughly incorporating the counties of Cumbria and Lancashire, and possibly Cheshire. It stretched from Hadrian's Wall above Caer Ligualid (modern Carlisle), perhaps all the way down to Campodunom (Celtic Loidis, modern Leeds) in the Midlands, and west to Caer Legion (Chester). The kingdom was initially part of Coel Hen's 'Kingdom of Northern Britain', the northern half of Britain which had evolved from the former Roman military zone. According to the scant written sources available, upon the death of Coel Hen's son, St Ceneu ap Coel, Northern Britain was subdivided, creating Ebrauc to the east of the Pennines and Rheged to the west. Its northern capital was Caer Ligualid. The name 'Rheged' seems to derive from the confederation of Celtic tribes that occupied almost the whole of the north below Hadrian's Wall, the Brigantes. Pre-Roman Celtic tribal names seem in places to have survived the period of empire and were occasionally reused from the fourth and fifth centuries. Formed at a time when the Celtic language was undergoing rapid change, 'Brigant' seems to have become 'Breged' and then Rheged. Within the kingdom, Carlisle was possibly founded as an Iron Age British town by a division of the Brigantes who were known to the Romans as the Carvetii. It may have been their settlement that was turned into a civitas by the Romans in AD 79 and named Luguvalium (which contains the name of the god, Lugh. Appended to that is 'val', which probably means 'leader', but see the Catuvellauni introduction for a counter-argument). During the Romano-British period, the name seems to have been mangled into Caer Ligualid (or perhaps even Caerleyl), and later generations mangled it further, merging the two words into one, Carlisle. The kingdom was divided in 535 into North Rheged and South Rheged. Mike Hancox suggests that it was not even a single kingdom at the start, but a confederation in the spirit of the Brigantes. This idea would seem to contradict the tradition that Rheged was formed as a division of Northern Britain, but if a confederation did indeed exist before the creation of the kingdom, perhaps as a direct continuation of part of the Brigantes confederation, then it is not beyond the bounds of possibility that Rheged was deliberately formed based on the confederation's area of influence. Little survives in the historical record other than in poems and genealogies, much of which is early Welsh in origin, carried there when the North fell. Rheged has often been overlooked by archaeology. The kingdom was probably sparsely populated, as much of its land was either moor, rocky limestone upland, or undulating lowland with poor soils. Fully arable and pasture land was hard to find. 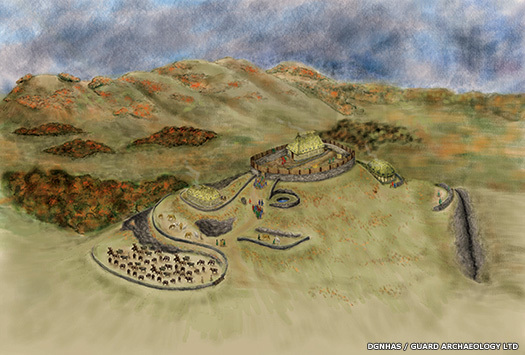 Local culture evolved directly from the Iron Age, without large-scale Roman influence except around the Wall and in Carlisle. As the increasingly patchwork series of British kingdoms to the east fell to the Bernician Angles, Rheged quickly became a bulwark of the defence of Northern Britain. When it finally fell, in the early seventh century, so did the North. Son of Ceneu of Northern Britain. First king of Rheged. Born 422. Gwrast inherits a land with existing Christian activity of the British Church which covers - at least - the fourth and fifth centuries. 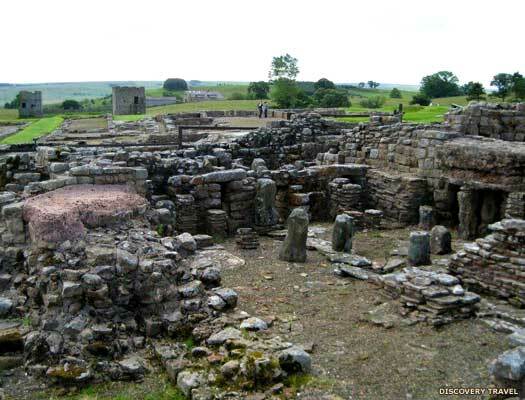 One area of such activity is around Hadrian's Wall, with possible churches and epigraphy which should include the Papias stone from Carlisle and the Brigomaglos stone, along with a stone incised with a cross from Vindolanda. Gwrast is the Welsh form of his name and is therefore probably later, despite the Cumbric dialect spoken in Rheged being closely related to Old Welsh. He is more probably known as Gurgustus, the Latin form of the name (Fergus is its modern form). Gwrast's eldest son, Meirchion Gul, is his confirmed successor to the throne of Rheged. For his younger son, Mascuid, the region of Elmet, which until now appears to have been under the direct control of Rheged, is granted to him. This event seems to coincide with the death of Mor ap Ceneu, 'King of Northern Britain', and the subsequent division of his north-eastern territory into Ebrauc to the east of Elmet and the 'Kingdom of the Pennines' to the west. This would probably leave Elmet permanently cut off from Rheged and perhaps even in danger of annexation, so it is in Gwrast's interests to ensure that one of his sons is in command of the territory. Son. Mentioned in a Middle Welsh genealogy. Gawain appears to rule Guotodin from a distance, being found first in Rheged and then in Wales. 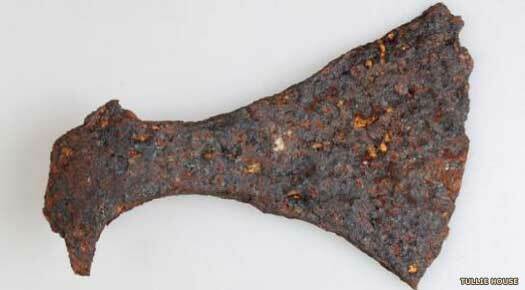 One site in Rheged which is of interest is Papcastle, on the north bank of the River Derwent about nine kilometres (5.5 miles) along the Roman road from the coast at Maryport in Cumbria. It had been an important Roman site and lies close to the later site of a minster at Brigham, which possibly has Christian activity dating from the fourth or fifth century. Papcastle derives its name from Pabo, the name of the king of the Pennines in this period. Although it is speculation to wonder, could it be possible that Pabo has a holding at the site, even though it is within Rheged? He would be Meirchion's first cousin once removed, so the family ties are doubtless still close, and possibly all of the interrelated kings of the North hold pockets of territory or buildings across the region. Upon Meirchion's death the kingdom is divided between his sons to form North and South Rheged. The practice of division is typical practice with Celtic peoples, but it usually serves to weaken the state. According to the sources, the kingdom of Rheged was divided upon the death of Meirchion Gul around 535. The Rhegedian capital of Caer Ligualid (Carlisle) was retained for North Rheged, while Caer Robais probably served South Rheged. The northern kingdom's most famous king, Urien Rheged, also had a palace at Llwyfenydd (probably the River Lyvennet, close to Crosby Ravensworth in Cumbria), and probable dwellings at Caer Brogwm (Brougham) and Pen Rhionydd (possibly near Stranraer). Caer Ligualid seems to have remained occupied as Roman authority faded. The headquarters building (principia), has been shown to have remained in use after the end of the fourth century, along with buildings adjacent to the south side of the Via Principalis. Birdoswald on the Wall remained similarly in use, with one of the granaries near the west gate being demolished and replaced by a timber hall at the end of the fourth century. Such timber buildings could easily remain in use, and were easy to repair, well into the sixth century. Other sites, such as Netherby, near Armterid (Arthuret), and Stanwix show similar use during the same period. The modern county of Cumbria, the heart of North Rheged, remembers in its name the British Cymri of the area. Centred on part of Lancashire, and all of Cumbria and Galloway (Galwyddel) at its peak under Urien Rheged, this kingdom is one of the better known through that leader and his son, but even that knowledge is scanty. Early sources of any kind covering Cumbria and Galloway are very sparse, so the details of the kings are probably better known than their kingdom. Dunragit, near Stranrear, means the 'fort of Rheged', which helps to confirm the little information available on the annexation of this region in Galloway to the kingdom. Son of Meirchion of Rheged. First king of North Rheged. To the east, the British kingdom of Bernaccia is seized by the Angles who have been serving as laeti and the ruling king, Morgan Bulc is forced out. He takes refuge with the Guotodin, shifting his power base there, but the loss leaves North Rheged's border exposed to the invaders. As one of the stronger northern kingdoms, Rheged develops into a key player in the task keeping the Angles bottled up in their new capital. Galwyddel is invaded and annexed to the kingdom, and its king is forced to flee with his family to Ynys Manau. How Rheged might have managed an invasion when it seemingly doesn't share a land border with Galwyddel is a simple matter to answer. Caer-Guendoleu apparently stretches down to the head of the Solway Firth, blocking Rheged's land access to Galwyddel, but Guendoleu and Rheged are allies (they do not fight each other in the battle of AD 573), so there's no reason to suppose that Rheged's warband would not be permitted to pass through Guendoleu's territory to reach Galwyddel. Sadly the records are so lacking in detail that Guendoleu's warband could even have ridden with them and it will never be known. This would also seem a likely point for the reoccupation of an early hill fort at Rockcliffe, overlooking Rough Firth (the Urr Estuary) approximately twenty-five kilometres (fifteen miles) south-west of Dumfries. Today it is known as the Mote of Mark (after King Mark of Cornwall, perhaps due to a confusion - both he and Cynfarch Oer have fathers named Meirchion). The fort is occupied from the sixth century and has a seaward side that falls sharply away to the water, while on the landward side is a rampart, a drystone wall in a timber frame, one of the few partial British parallels to Cadbury Castle. This rampart does not go all the way around, and the protected enclosure is much smaller, just sixty-one metres by forty metres (200 feet by 130 feet). Inside, fragments of metal and jewellery prove the presence of craftsmen and a rich patron. This is the date upon which the Angles in Deywr pronounce the creation of their kingdom of Deira, perhaps with help from their kinsmen in Bernicia, and Ebrauc suddenly faces a threat on two sides. The once formidably strong North is now showing cracks in its defences. Son. Possible High King. The Arthurian 'King Uther of Gore'. Urien Rheged is the most famous of all Rheged's rulers. He is mentioned both by Nennius and Taliesin as the victor of several encounters with the Bernicians. Taliesin also names him as the ruler of Rheged, and he is named more specifically as the ruler of Llwyfenydd (probably the River Lyvennet, close to Crosby Ravensworth in Cumbria), where he has a palace. This places him squarely in North Rheged, while his exploits and authority make him a major figure in Romano-British history, so much so that he is a candidate for the office or role of high king, effectively the battle leader of the Britons. Rheged gains the small northern Selgovae state of Caer-Guendoleu following one of the most pointless and destructive disputes of the period, King Guenddolau is killed in battle against Rhydderch Hen of Alt Clut, most probably for territorial reasons. Rhydderch is aided by Ebrauc and Dunoting. Upon gaining the territory, Urien places his two brothers in command of it, primarily, it would seem, to prevent it being captured by Rhydderch Hen. Urien fights King Theobald of fledgling Bernicia when he besieges the Angles at Metcaud (Lindisfarne in the northern part of the modern county of Nothumberland). His son, Owain, kills Theobald (presumably the Flamdwyn, or Flamebearer, of British literature) in battle after the latter demands hostages which are refused. Urien also receives a mention for 586. The Deirans have continued to gain ground on Ebrauc, and in this year the Annales Cambriae records that its king and his brother, Peredyr and Gwrgi, both die. It seems likely that this is in the last stages of the defence of the city, which now seems to fall to the Deirans. Urien gains the territory of Catreath (generally accepted as Catterick in North Yorkshire), while the loss of Ebrauc to the Deirans leaves Elmet's long north-eastern border exposed, and also exposes Dunoting. Elmet and Rheged form a confederation of British kings, primarily based and operating in the north. The dispossessed Morcant Bulc of Bernaccia and Rhiderch Hael of Alt Clut both join the confederation in operations against the Angles, and are present at the siege of Ynys Metcaut (Lindisfarne) in this year. The Bernicians are almost driven out of Britain but the confederation falls apart when Morcant Bulc of Guotodin has Urien Rheged assassinated, fearing his great power should the Britons win the war against the invaders. His act fatally weakens the British cause in the North. Son. Last powerful king of North Rheged. Mentioned in 586 & 593. Five years after Urien's assassination, North Rheged's borders are threatened as the Pennine kingdom of Dunoting falls to Bernicia. As a background to the military failures, this late sixth century period produces no Christian activity in three sites in Carlisle that are important in the seventh to ninth centuries (the cathedral, St Michael's Church, and the Workington & Dacre monastery site). This suggests that Christianity under the British Church is loosely enforced or encouraged, but that the later Anglian masters of Carlisle impose it more forcefully. Morcant Bulc, dispossessed king of Bernaccia, attacks Rheged and kills Owain, fatally weakening the kingdom. Catreath is lost, prompting the Gododdin-led attack (described in The Gododdin poem) to try and retrieve it. Rheged survives for a few more years with a ruler who's name is uncertain, although it is likely to be Owain's son, Elffin. There is the additional possibility that Llywarch Hen of South Rheged exercises his authority over the north. This theory is based on the existence of a castle overlooking the Nith estuary on the Solway Firth called Caerlaverock, which translates in Old Welsh as 'the fort of Llywarch'. Son. Ruled? Held the remains of the kingdom. The former Roman town of Luguvalium, capital of the Carvetti tribe of Brigantes, still survives into the seventh century, with a town council and a working aqueduct. The signs of severe decay that can be found in a great many Roman towns after up to a century of abandonment or limited occupation are missing here. The town remains an important stronghold in the north. The remnants of North Rheged collapse after being overrun by Edwin of Bernicia, although there is the possibility that an enclave remains. The Mote of Mark fort in Galwyddel, reoccupied in the sixth century, is destroyed by fire in the seventh century, possibly during the collapse of North Rheged. Trusty's Hill Fort at Gatehouse of Fleet is also destroyed in the same period. Grandson of Urien Rheged. Ruled? If Rhoedd map Rhun does rule any remaining part of Rheged for any length of time, he is almost certainly the last to do so. The kingdom is not mentioned again in history. Aldfrith is the son of Oswiu of Bernicia, king of a united Northumbria since 654. Aldfrith's mother had been, according to Nennius, Rienmelth, daughter of Royth (or Rhwyth), better known as Rhoedd map Rhun map Urien Rheged. At the very least, Oswiu's marriage is a dynastic union, albeit with a bride whose family had found themselves in severely reduced circumstances, but it also solidifies his claim to rule all of the North, a land that he and his forebears have reunited so that it closely resembles the 'Kingdom of Northern Britain' over two hundred years before. The Britons of Rheged are not displaced by the legal union with Northumbria. Quite the opposite, in fact. They appear to retain a strong cultural identity and infrastructure that is only destroyed in the ninth century, when the Vikings of York take control. 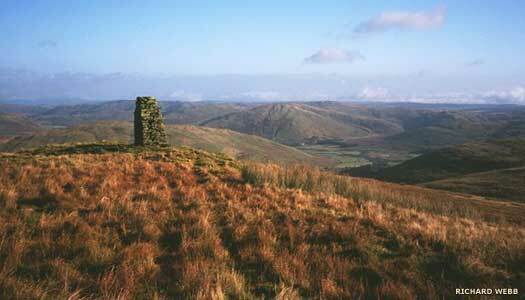 By the beginning of the tenth century, the Britons and Scots of Strathclyde control Cumbria. With Aldfrith's death, his sub-kingdom of Deira is apparently drawn fully within Northumbria to be ruled as a single kingdom. His daughter, Eahlflæd, becomes a nun. According to the sources, the kingdom of Rheged was divided upon the death of Meirchion Gul around 535. The Rhegedian capital of Caer Ligualid (Carlisle) was retained for North Rheged, while Caer Robais (Ribchester) probably served as South Rheged's capital. This detached southern section of Rheged covered modern Lancashire and probably Cheshire. Modern Rochdale seems to retain the kingdom's name, probably originating from the Bernician conquest of the kingdom. There has been evidence of prehistoric activity in the area, but it seems entirely unclear whether there was a Celtic settlement there. Angles who almost certainly did settle there, in an entirely Celtic land, were probably called the 'Rheged settlers' or similar (the Elmed Saetna provide a similar example from farther east). Their settlement became 'Reced ham' (essentially 'Rheged hamlet'), although the second part later changed from 'ham' to 'dael' (Old English for an open valley). The change was probably caused by a new wave of settlers, presumably Vikings, who used 'dal' or 'dahl' much more often than the Anglo-Saxons, who seemed to use it very seldom. Despite being entered into Domesday as Recedham (suggesting the dual usage of both names for a time), the settlement of 'Reced dael' gradually transmuted into modern Rochdale, although this analysis is not entirely accepted by modern scholars, making Rochdale's place in the kingdom uncertain. Son of Meirchion of Rheged. First King of South Rheged. Son. Flourished from al.600. Last king of South Rheged. Died 634. During Llywarch's reign he is also king of Ynys Manau until it is effectively snatched from him by the Ulaid. His name, Llywarch, seems to break down into two parts, with 'warch' perhaps being 'varch' (later 'vark' and then 'march'), which means a horse or stallion. The first part is more complicated. 'Llu' forms the word 'host' ('lluoedd'), while 'llu arfog' is an armed force. so Llywarch could be taken to mean 'stallion host' (literally, 'cavalry force', or perhaps more poetically, 'war horse' as a metaphor for the leader of the host). Another school of thought which has far less weight to its argument proposes that 'Lly' descends from 'Lleu' and then Lugh, the sun god, making the name 'Lugh's stallion'. Morcant Bulc, dispossessed king of Bernaccia, attacks North Rheged and kills Owain map Urien, fatally weakening the kingdom. It survives for a few more years, although its ruler is uncertain. In the possible power vacuum which exists immediately after Owain's death, there is the possibility that Llywarch Hen exercises his authority over the north. 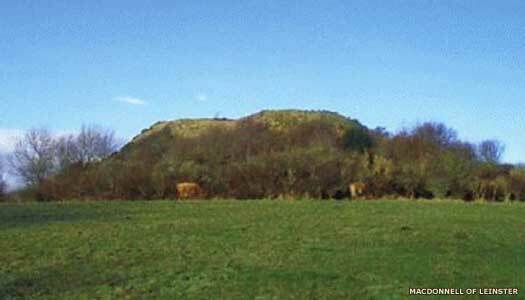 The hill fort of Ward Law lies on the northern side of the Solway Firth, immediately south of Dumfries. It dominates the Nith estuary at Caerlaverock and controls access inland via the River Nith. Caerlaverock is a castle which is at the foot of the hill fort, and its name translates as 'the lark's nest fort'. However, in Old Welsh, 'laverock' translates as 'Llywarch'. Most of the remaining Northern British kingdoms fall around this time, during a period of vigorous expansion by the Bernicians, including South Rheged. Llywarch Hen and his large family flee west to Penllyn in Powys (a refugee centre for many Northern British royal families around the turn of the century). While North Rheged also falls to the Bernicians in the early seventh century, and is later legally inherited by them through the marriage of one of Urien Rheged's descendants, the fate of South Rheged is much less clear. Around 790, Elidyr map Sandde map Alcwn map Tegid map Gwyar map Llywarch Hen becomes king of Ynys Manau. Elidyr's son, Gwriad, becomes king of Gwynedd in 815, still carrying the title, 'Heir to South Rheged'. Physical control of the region, however, certainly falls to Northumbria, although southern sections may be conquered by Mercia during that kingdom's ascendancy in the eighth century (at exactly the time in which Elidyr map Sandde is active). Following the Viking invasion, the southern section is split between the Danelaw and Mercia, while the rest of South Rheged is occupied by Vikings, probably as part of the Scandinavian kingdom of York. Finally, it is conquered by Wessex to form part of a united England in the tenth century.